A mix of clouds and sun this morning followed by increasing clouds with showers developing this afternoon. High around 75F. Winds WSW at 10 to 15 mph. Chance of rain 50%.. Considerable cloudiness with occasional rain showers. Low near 50F. Winds W at 5 to 10 mph. Chance of rain 70%. “The Modoc Indians in the Lava Bed,” by William Simpson. Capt. 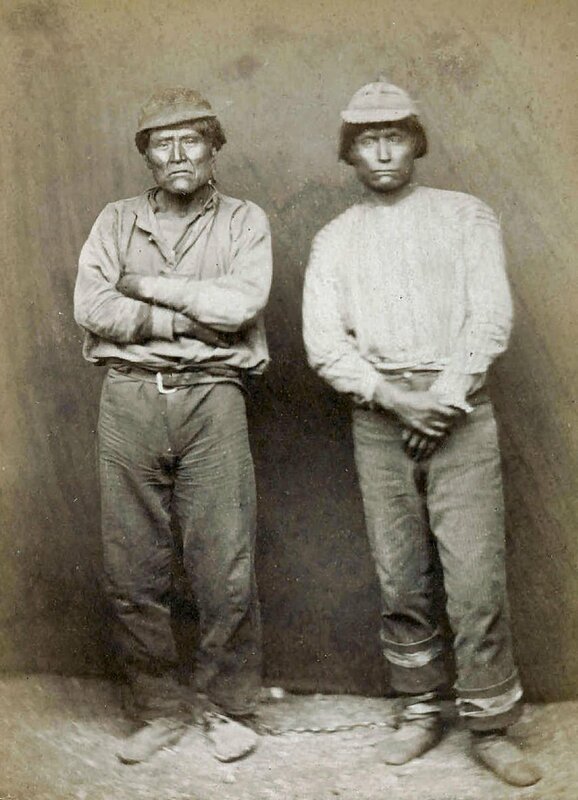 Jack in leg irons with his second-in-command, Schonchin John. Kintpuash, or Capt. Jack, leader of the Modoc tribe in 1873. SALEM — Nearly 150 years ago, the nation’s attention was fixed on a remote area near the Oregon-California border, where 50 Modoc Indian soldiers were fending off a thousand U.S. Army soldiers from within a fortress of lava beds.